Board Certified Dermatologist and Medical Director of Harklinikken Dr. Panos Vasiloudes is helping patients everyday rediscover the hair growth they thought they had once lost. Most people are not able to see actual hair loss until it’s too late. Years of bleaching, highlighting, weaving and braiding can place serious stress on the hair follicles causing irreversible damage in some cases. 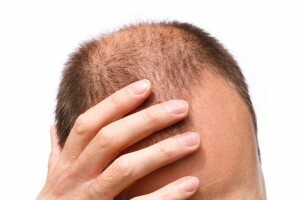 By age 35 40% of men have noticeable hair loss, for women they notice the same percentage of hair loss by age 40. Of course both genders have different ways of dealing with this issue, for men they may resort to shaving their heads whereas for women they rely on hair weaves and wigs. Other options include topical and oral treatments that overall show little if any visible results. Harklinikken offers a natural solution without introducing foreign chemicals to the body. Eligible Magazine met with Dr. Vasiloudes at the Harklinikken headquarters in Copenhagen, Denmark to get a deeper understanding of their signature Extract Treatment and met face to face with real life success stories. Continue reading to get an indepth understanding of Harklinikken and how it’s changing the hair regrowth industry. Eligible Magazine (EM): How does Harklinikken differ from other popular brands that promise hair regrowth? Dr. Vasiloudes: A colleague of mine met Lars Skjoth, the founder of Harklinikken, at a conference in Athens where Lars was presenting. My colleague reported to me, that in his 25 years in Dermatology, he had not witnessed results that came close to the ones presented. I decided to visit the main office in Copenhagen and did so in March 2008. 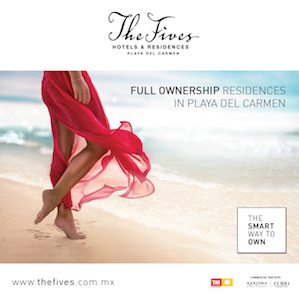 I saw 50 clients over two days and I was surprised to see how extraordinary the results were. Lars and I agreed to make a research project in my Dermatology clinics in Florida, which we finished 6 years later. The Harklinikken hair regrowth program is individually customized and has been tested in over 75,000 clients over 23 years. With my 20 years in dermatology, I can say that I have never witnessed such results prior. The single most important differentiator is the efficacy as evidenced by improved hair quality, increased hair quantity, volume and luster. EM: Can you explain in detail the connection of DHT in the body and its correlation to hair loss? Dr. Vasiloudes: Testosterone is converted into the stronger androgen dihydrotestosterone (DHT) by the enzyme 5-a reductase and from here it finds its way to the hair follicle and initiate its attack, leading to hair thinning. In the human body, we see a complex interplay of hundreds of hormones and their effect can be beneficial or adverse depending on timing in development, age and responsiveness of a target organ. While the effect of testosterone/DHT in the development of the male body-hair pattern is regarded as “normal”, the effect of testosterone/DHT on the scalp, that develops male pattern hair loss, is regarded as “abnormal”. The variation in response is due to specific receptors, mediators, transmitters and signaling pathways in different cells and tissues during development and life. The effect of testosterone and DHT is a “chain” of events and any change in a “link” can lead very frequently to even opposing outcomes in the same person. EM: Most people don’t know if they are experiencing hair loss until it is noticeable. What are some tests people can perform at home to determine if they need treatment? Hair becomes more dry and brittle than usual. In addition, length and volume gradually reduces until you realize your hair mass is reducing. Hair band wrapped 4 -5 times around the hair does “no longer feel tight” while prior to hair thinning 2-3 times was sufficient. Another indirect test is sometimes documented by hairdresser visits. The hair does not grow as much or the hair quality is affecting the mass and volume and the need to cut the hair is less. Do you have see-through-hair? Reduced hair density in the frontal hairline will result in the scalp “shining” through the hair. 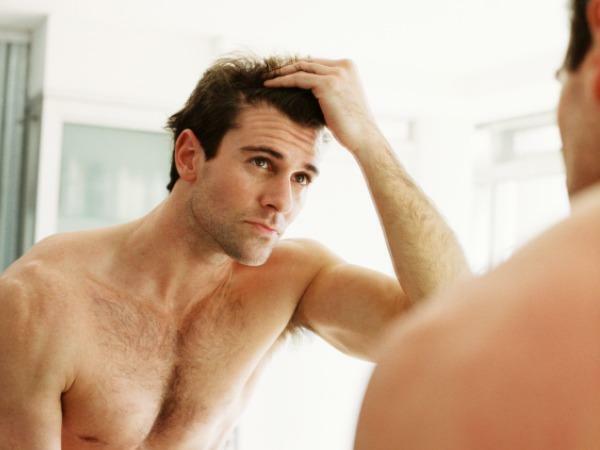 Sometimes hair lost during and after shower, over longer periods, can be an indication of hair thinning. We see clients collecting hairs after a shower and saving them in dated zip-lock bags, demonstrating the increase in lost hair based on volume and mass. 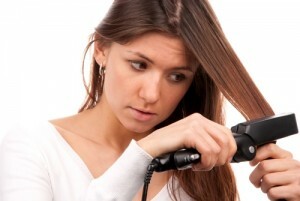 However, hair shedding is not necessarily a problem, as long as you get new hairs back of same or better quality. 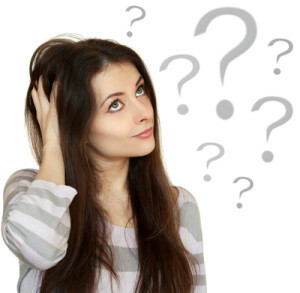 EM: What are your recommendations for avoiding scarring or damage to the hair follicles? Dr. Vasiloudes: I classify the causes of scarring, which results in permanent hair loss, into two major groups: Medical conditions and Hair styling practices. Firstly, infectious and inflammatory processes, like folliculitis, ringworm and autoimmune conditions can cause scarring. In these cases immediate evaluation and treatment by a dermatologist is advised. Immediate treatment with antibiotics, antifungal agents and other disease specific management is needed. Effective intervention is available, provided expert advice is sought on time. Secondly, physical, chemical and thermal trauma to the hair follicle, like extensive curling, tight braiding, pulling from flat iron and use of chemicals adhering to the hair and destroying the follicle can cause scarring as well. The treatment of choice is appropriate education about hair styling practices. It’s important to understand the cause and effect in these cases and have a long-term perspective. Use of cortisone like topical creams, gels and solutions has only limited value. Understanding the cycle of repeated trauma, inflammation and permanent scarring with hair loss is paramount! Great interview. The info about what might be causing hair loss and figuring out if you actually need treatment is super helpful. I also just wanted to share that, for anyone who does want to seek treatment, Harklinikken has added an online assessment and online store for it’s products at harklinikken.com. You don’t even have to visit the clinic to get treated!